“I feel I’m anonymous in my work. When I look at the pictures, I never see myself; they aren’t self-portraits. Sometimes I disappear.” – Cindy Sherman (b. 1954). Taking its title from this statement, photography exhibition Sometimes I Disappear at Ingleby Gallery, Edinburgh, presents works by four artists specialising in self-documentation. 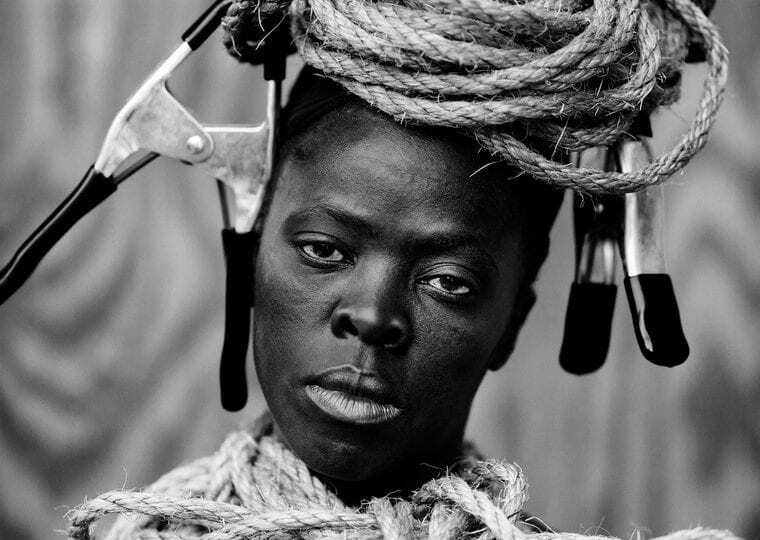 Sherman’s works are showcased alongside images by Zanele Muholi (b. 1972), Francesca Woodman (1958-1981) and Oana Stanciu (b. 1988), each delving into ideas of presence and absence through a use of props and costume. Politically-charged photographs by Muholi are steeped in meaning and association. “The black body itself is the material, the black body that is ever scrutinised, and violated and undermined,” the artist notes. Works by Woodman and Stanciu explore domestic, architectural and dreamlike settings, whilst Sherman subverts conventions of femininity in iconic tableaux. Sometimes I Disappear opens 2 February. Find out more here. Lead image: Francesca Woodman Untitled – New York, 1979 . Charles Avery: The People And Things of Onomatopoeia is currently on display at Ingleby Gallery, as part of the Edinburgh Art Festival 2015.